We invite you to spend a special night together at the Whitecaps. The night will even end with Fireworks!! Each person will get a $10 gift card for use in concession stands and coupons for the souvenir shop. 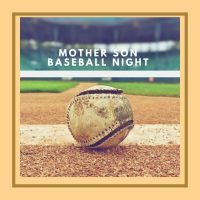 There will be one special son who gets to throw out a first pitch and others chosen to take place in on the field games! Act quickly to get your seats. There is a deadline of April 21st. Cost is $48 per couple, each additional is $24.